Sturdy: To withstand the harsh and rough use, make sure the knife you buy is sturdy enough. That is made up of good quality steel to ensure durability as well. The Blade Should Complement the Handle: We are not talking all about looks here. It’s about the quality of material that the handle is made up of. The handle should be firm enough to deeply interlock blade within. Reliability: If the above facts are taken care of, the knife will surely be reliable enough for long term use. Enough with the talking, let’s see the different kinds of cool knives for sale, we have right here at Knife Import! Pocket knives are highly popular and very functional too; not only they are small enough to adjust in your pocket but also perform a variety of tasks including self defense, which is most important. To give you a better idea, we have jotted down one of the cool pocket knives with amazing features by Knife Import. With the most stunning look and fine blade, this pocket knife is the best choice for you. It is overall 7 inches in length and made up with a stainless steel blade. The blade is measured to be 3 inches which is razor sharp-enough to cut anything in a single strike. To keep the security under consideration as well, it has a back lock too. The pocket clip can be used to attach the knife onto the shirt’s or jean’s pocket. This is not only the pretty enough but also the best pocket knife at what it does! The stunning combination of black and red speaks of itself for sure. This knife is 9.25 inches overall. The blade of knife is made up of stainless steel, which is sturdy and sharp enough for any kind of use. The handle of the knife is made up of nylon fiber. Pointed from the tip and the rest of the blade’s body is slightly curved to provide vast functionality. 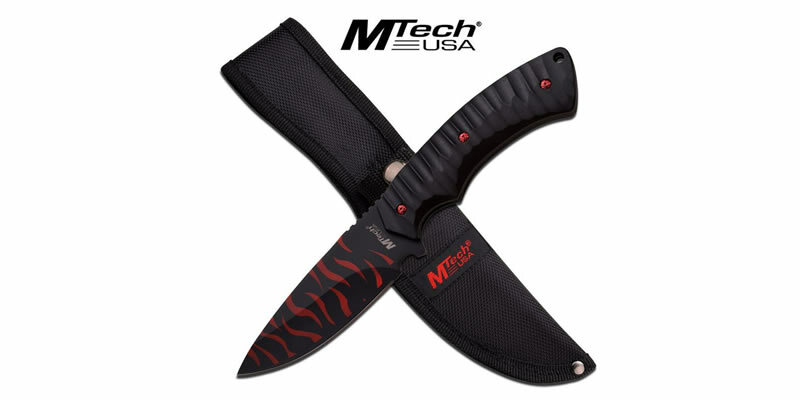 A nylon sheath also comes along with the best fixed blade knife to cover it. 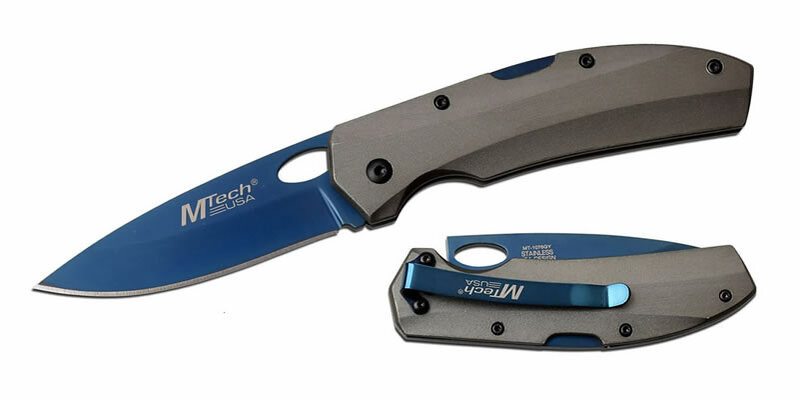 Generally, a spring assisted opening knife is a type of the folding knife that uses an internal mechanism to finish the opening of the blade, once the user has partially opened it. Spring assisted knives are very useful especially in the situations that call for immediate self defense. There are also many kinds of assisted opening knives available in the market, in different styles and sizes. One can pick up according to what best suits the need. However, below is a spring loaded knife that you should have a look at. 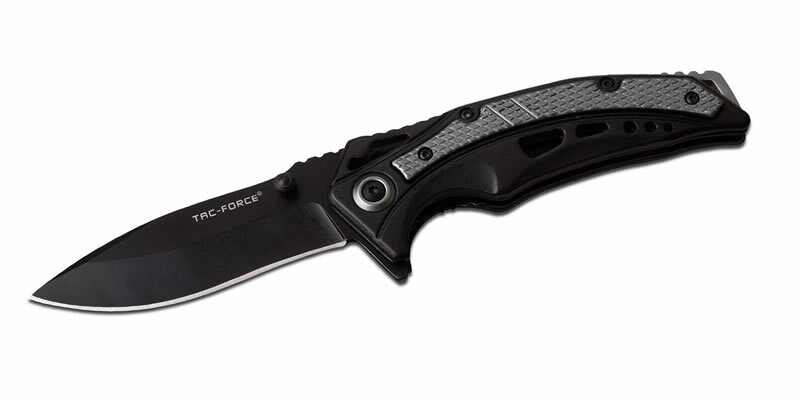 This smart spring loaded knife is precisely designed with fast opening and closing mechanism. The overall length of the knife is 7.75 inches. The length of the blade measures to be 3.25 inches. The blade is made up of steel which is coated with blue tinite. The whole body (handle and blade) is similarly colored to make it camouflaging. 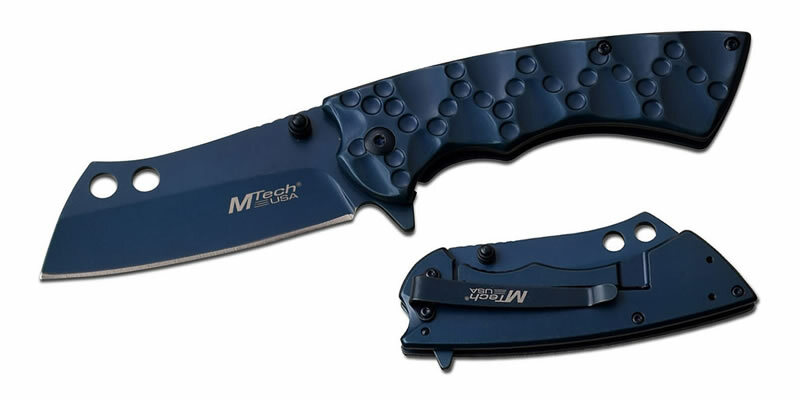 This knife also comes with a pocket clip, which can be also used as boot clip. Hidden blade knives are actually concealable hidden blades that are channeled into a mechanism such as into a lipstick or a necklace. Depending upon the user and the method of usage, a spring loaded mechanism can extend and retract the blade from its position. Such real hidden blade knives are mostly used in fights and as certain movie stunts. We hope you feel much enlightened about these cool knives for sale now. The amazing thing is that, all these knives are available at wholesale rates. Yes, it is right. You can buy wholesale knives at very cheap prices from Knife Import. Not only the knives, here you can buy real swords, airsoft guns, self defense weapons and various martial arts & ninja weapons and all these are available for sale at low wholesale price.